For the BJP, the stakes are high in the New Delhi elections. Indian Prime Minister Narendra Modi often takes a confident and combative tone in his election speeches. Modi’s public meetings draw jam-packed audiences. Modi has never looked so lackluster as during the last week, campaigning on behalf of candidates for the Delhi assembly elections. His addresses have not only been missing the political punch that he is famous for delivering, but they have additionally only attracted meager crowds. On Tuesday, the Bharatiya Janata Party (BJP) leader addressed a poorly attended rally in western Delhi. The speech was also badly delivered, betraying the prevailing nervousness in the party that fears losses in Delhi’s crucial election on Saturday. Delhi is a not a full-fledged state like the other 29 provinces in India. It has an assembly but does not have full political autonomy. However, as the national capital, every election in Delhi holds an important place in the national consciousness. Because of Delhi’s diverse population, the result is often seen as a bellwether for the rest of India. But the current campaign is particularly important. The BJP is pitted against the Aam Aadmi Party (AAP, or “Common Man’s Party”), a rookie anti-corruption party that’s less than two years old. A defeat delivered at the hands of the AAP would not bode well for the BJP’s image. It would break Modi’s winning streak and harm the prime minister’s popularity. It’s no wonder that Modi’s entire cabinet and a majority of BJP parliamentarians are campaigning on the streets of Delhi in the last days of the race, hoping to somehow turn the tide. If the polls can be trusted, AAP, headed by activist Arvind Kejriwal, is headed for a comfortable victory. 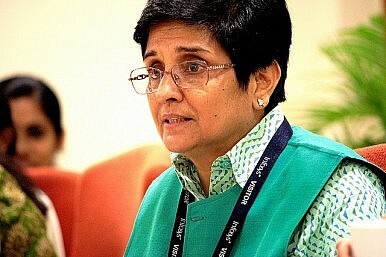 The BJP touts Kiran Bedi, Delhi’s first female cop and also an ally of Kejriwal in the anti-corruption movement, as its candidate for chief minister. Bedi has never been a party member, but the BJP brought her into the fold hoping to counter the popularity of the AAP leader, betraying a nervousness not seen in Modi’s camp since his election last May. The projection of Bedi as the face of the party accentuated the divide among BJP’s loyalists in Delhi. Bedi’s foray into the electoral arena didn’t send the right message to the larger electorate, who saw the former police chief as a buffer to protect Modi. An adverse outcome will dampen Modi’s popularity and appeal. It could also damage the morale of the central government. The broader voting public sees the poll as a contest between the Modi-led BJP and the rest. For the ruling party, Modi is both the issue and agenda. Unlike the Congress party, which is finding it very difficult to stay competitive in the Delhi elections, the BJP has fielded all of its central leaders for campaigning. The leadership of the Congress is keeping a low profile, giving free reign to local leaders to slog it out in the poll. The narrative of development has been the BJP’s constant pitch since Modi’s election last year. The Delhi poll could be the first of many referendums on Modi’s leadership. Several important state elections come this year and next, and a defeat in Delhi on Saturday will have a demoralizing effect on the ruling party. The 2015 Delhi state elections are a wake-up call for the Bharatiya Janata Party (BJP) in India. Indian Elections 2019: Do Narendra Modi and the BJP Deserve a Second Term?The Temple Guardians: Is India’ Ruling BJP Becoming More Conservative?Misinformation and Misdirection Grow as India's Economy StumblesIndia's State Election Results Seal in the Country's Modi-ficationThe AgustaWestland Scandal: Is India's Opposition in Trouble?